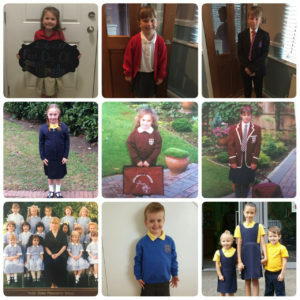 We are now in the second week of September and, not only is summer almost over but, it is officially the start of term and, with this thought in mind, I have been asking for your first day of school pictures. 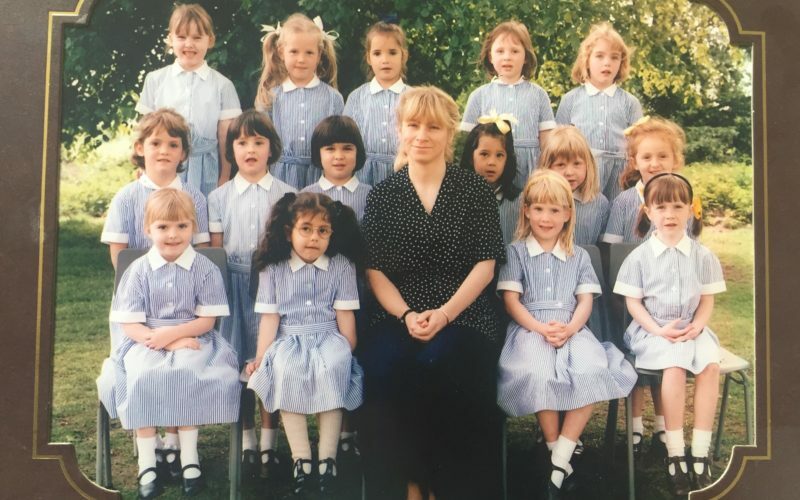 You know those cringe pictures of you looking awkward or embarrassed in your slightly too big uniform that you’ll grow into; those very shiny shoes and mum standing there with her camera asking you, nicely, to stand up straight in front of the kitchen door and smile. I don’t know why but for most of us our mums want us to have good posture in front of any door and, for me, it was always the kitchen door but for my cousins it was their front door. Nowadays, proud mums put their children’s pictures on social media to share how proud they are. I’m sitting here feeling thankful now, that not only was I born in the 90s but that Facebook and the likes were not around when my mum took mine. Luckily back then it was only the grandparents who saw my cheesy grin, bad posture and slightly too big uniform. 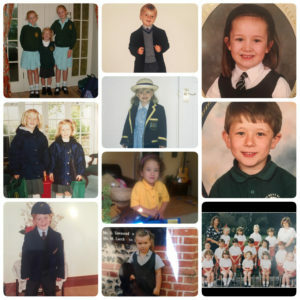 On Thursday 1st September, I started this project asking my breakfast morning listeners to take part in #firstdayofschoolpictures. This involved posting a picture of either yourself or your children on social media. It was your choice of platform whether it be Facebook, Instagram or Twitter. All I ask was that you put #firstdayofschool and #radiowoking. Some of you got involved straight away posting your cute pictures and a few of you asked me to make the 24hr project longer as you had to dig out the pictures which where buried in boxes; others had to go home for the weekend to speak to their parents and some parents where waiting to take their proud moment.